This boat is in Excellent Condition Inside and out. The Yamaha engines have been meticulously maintained and serviced by a professional Yamaha mechanic. This means being serviced every hundred hours as Yamaha recommends. Trailer Has all new Brakes and lines and is in excellent shape. The deck of boat is all new and looks new. Cabin Smells fresh and has new cushions.. Boat was recently Rebuffed and gelcoat has very bright shine. Boat is brought to a Fresh water canal and entire trailer and boat is put in canal after every use and engines are ran in the freshwater. All of the gauges and switches on the switch panel function properly. This means that the label on the switch is correct and yes, every switch works. There are no stray or mystery switches on this boat. Boat is stored under cover in a Garage when not in use. Any other Grady 28 Marlin or 280 Marlin you look at you will spend $20 to $40K to get the boat to be as nice as tihis boat. Don't miss out the best Grady-White out there!! Stock #161608 This vessel was SOLD on November 27. 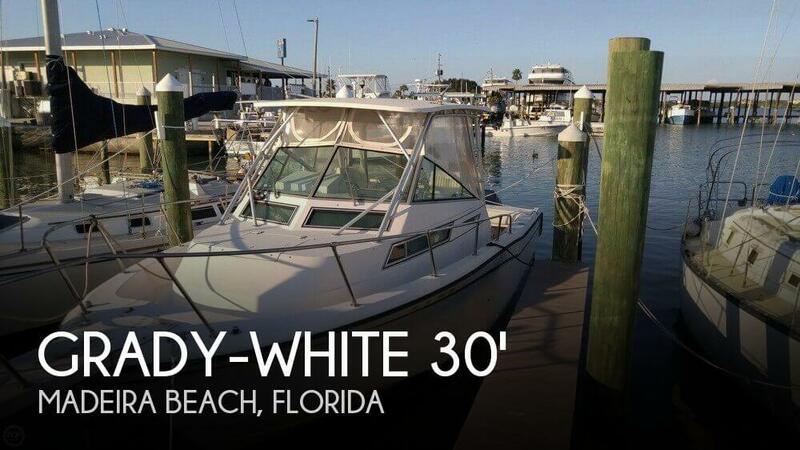 If you are in the market for a walkaround, look no further than this 1993 Grady-White 28 Marlin, just reduced to $49,999 (offers encouraged). This vessel is located in West Palm Beach, Florida and is in great condition. She is also equipped with twin Yamaha engines that have 1,120 hours. Good overall condition with nice upholstery on the interior and exterior cushions. Soft, clear eisenglass enclosure. All the gauges have been replaced and a GPS /chartplotter/Fishfinder is a newer unit. Motors started right up and had good water flow. From the seller: estimate 661 hours. The previous owner, a marine boat mechanic, said there were 250 hours on the engines before the Hobbs meter was installed - it currently shows 311 hours. With that being said, the heads on both engines have only 115 hours on them since being replaced. Stock #148576 This vessel was SOLD on November 23. 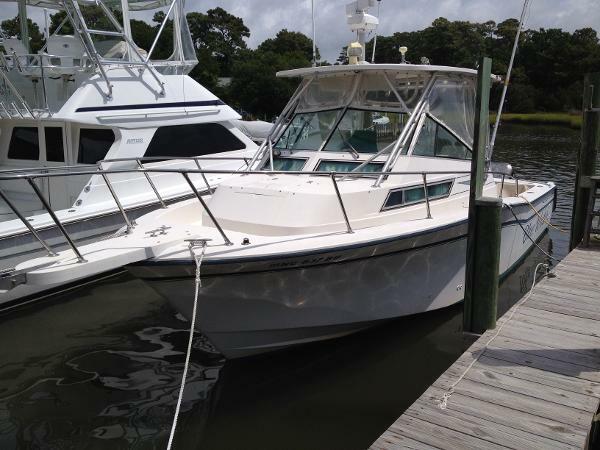 If you are in the market for a walkaround, look no further than this 1990 Grady-White 28 Marlin, just reduced to $25,000 (offers encouraged). 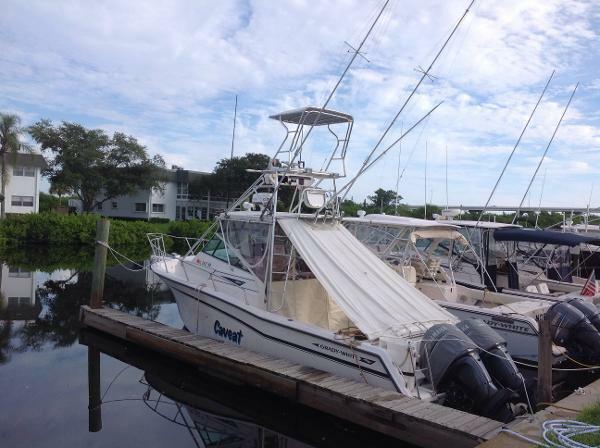 This vessel is located in Madeira Beach, Florida and is in great condition. She is also equipped with twin Yamaha engines that have 662 hours. 1989 Grady-White 28 MARLIN This was the first year of the CV2 hull design, thus she is a great sea boat. This is a one owner boat being sold by the estate. She is powered by twin 250HP OX-66 engines that were put on the boat in 2001. There is a 2011 triple axle trailer that is being processed with the state now and will be available for sale with this unit after September 7, 2016. The boat is priced to sell "As is, Where is". The aft cockpit deck is spongy and the radar comes on but does not transmit. Other than that, all she needs is tender loving care. 1990 Grady-White 28 MARLIN 1990 Grady White 28 Marlin Powered By Twin 2013 Yamaha Four Stroke 250 HP Outboards With Warranties Until 08/29/19. Only 151 Engine Hours. New 2015 Electronics Package includes Garmin 7612XSV, Garmin Radar and Garmin Autopilot. Also Has Raymarine E7 GPS and Stanadard Horizon VHF. Boat has Diesel Generator, Air Conditioning, Windlass, Outriggers and tower.